This recipe is definitely a project, but it’s a lot less daunting if you do the prep in stages. The dough, glaze and cinnamon-cardamom sugar can all be prepared ahead. Then, come Sunday morning, you only need to spend a half hour at the stove for the ultimate luxury: warm doughnuts for breakfast. 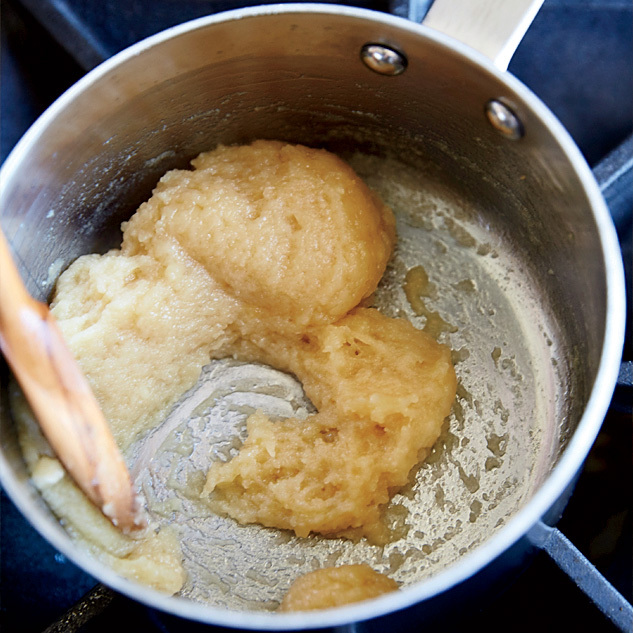 Boil fresh apple cider with butter, then add flour and cook until a thick paste forms. Let cool, then chill. 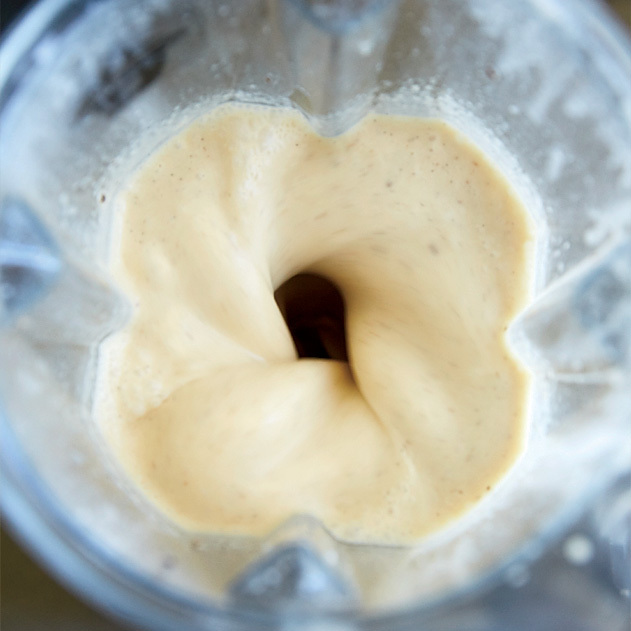 Add the chilled cider paste, cream, sugar, eggs, vanilla and cider and blend until smooth. 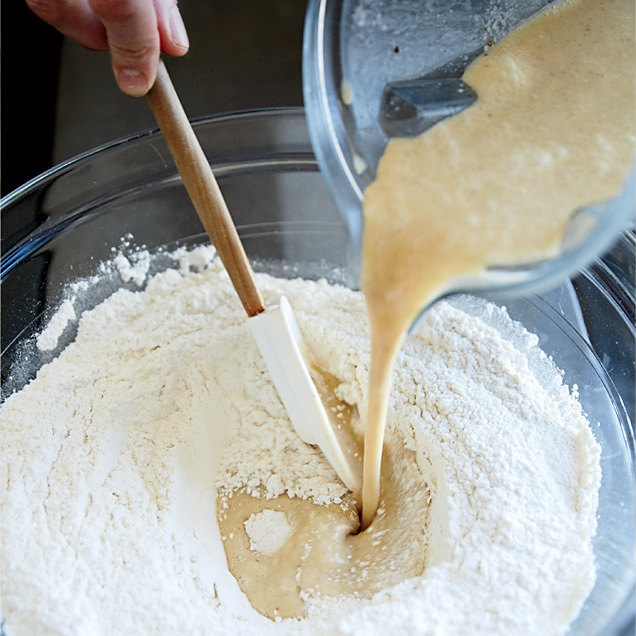 Mix the wet ingredients into the flour mixture until a tacky dough forms. Pat out on a baking sheet and chill. 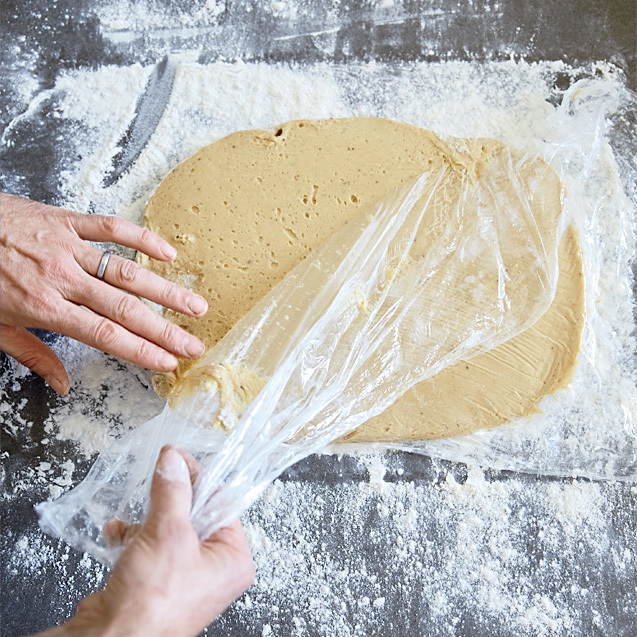 Unwrap the chilled dough on a floured work surface and roll it out about 1/2 inch thick. 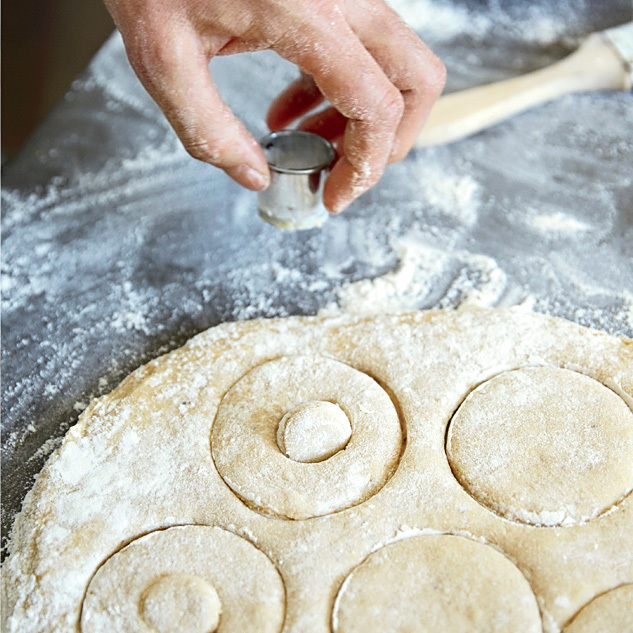 Using 3-inch and 1-inch round cutters, stamp out doughnuts and holes. Cut scraps into 2-inch pieces. 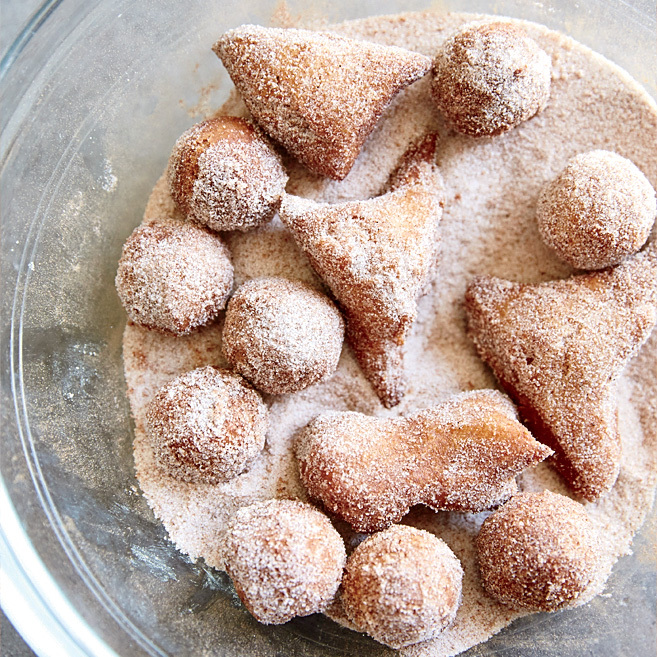 Cook the doughnuts in batches, turning once, until browned. Let cool on a rack for 10 minutes. 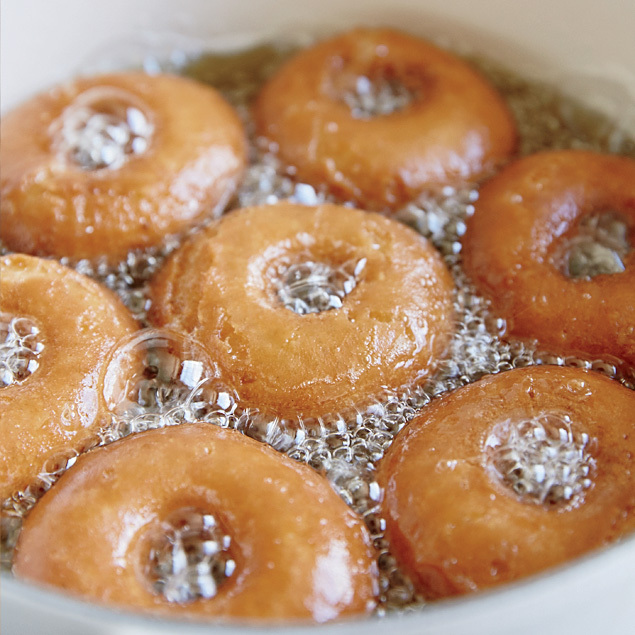 Hold each doughnut and dip it in cider glaze to coat; transfer to a rack and let stand until set.